New Articles & Fan Art! We have a bunch of cool new media and posts that could use more exposure. If one of them resonates with you, feel free to share it! And this is why JourneyQuest matters. This is why a nerdy, fantasy realm, comedic web-series produced in the Pacific Northwest and totally fan-funded by hordes of engaged, enthusiastic geeks matters. Seattle-based film non-profit shared our campaign. Let's like their post! 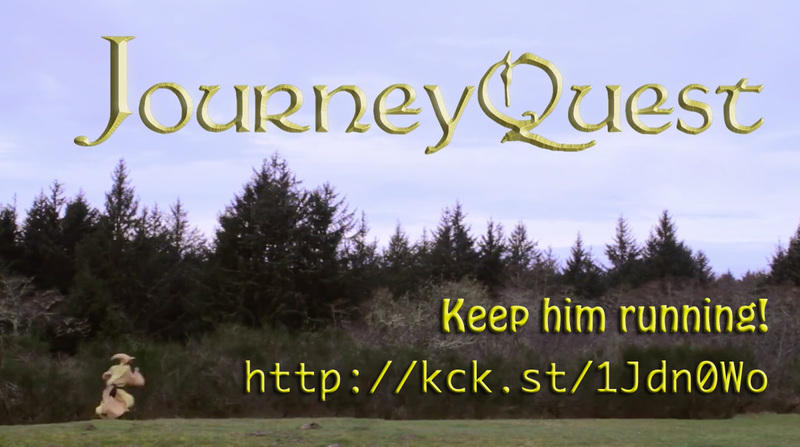 12 hours to go to help local webseries ‪#‎JourneyQuest‬ meet their kickstarter goal! Brian created series of images points out questions, hints, and secrets that will be addressed in Season Three. These are excellent for engaging existing fans. Will Carrow finally find redemption? What does Death want from an undead cleric? What will happen when Glorion tracks down his sword? What does Nara's elven tattoo really mean? Just go check out his Twitter channel. He's currently making a series of awesome JourneyQuest/Star Wars mashups. They're all worth of retweets. Bradley J Crep, Kevin Harder, and 13 more people like this update.